BOOKS AND ME! : My Week In Bookish form! Yay it's Friday!! And we draw another day closer to CHRISTMAS!!! The shops already seem full of festive delights - way too early!! Should definitely be banned until December 1st at the earliest! Anyway, on to book things - which should never be banned and should be encouraged at all times of the year!! Been a bit slow on the reading front this week and seem to be halfway into a couple of books which will hopefully be finished over the weekend - so I can then start on the stash that I may have added to over the past 7 days!! But the more I learn about the book community, it seems that we all have this issue of constantly adding to our 'collections' despite the overwhelming numbers of books we still haven't read yet! But we'll get time someday.... won't we?! And that Tote bag!! How could I say no!! There may have also been some purchases on Ebay that day too of things that are shaped like books, and feel like books..... and are books! Oops! But they've still not arrived yet so will update my blog when they finally arrive - and once I've tried to create yet more space on the bookshelves to put them all! The Blurb When Jen goes to her grandmother's house for the last time, she's determined not to dwell on the past. As a child, Jen adored Lily and suspected she might be a witch, but the spell was broken long ago, and now her death means there won't be any reconciliation. Lily's gone, but the enchantments she wove and the secrets she kept still remain. 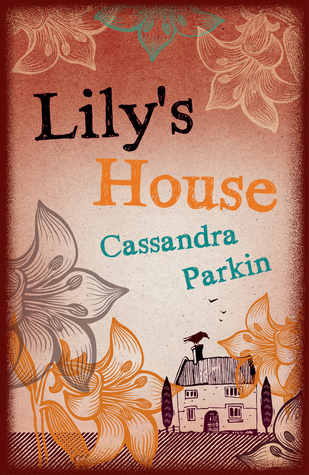 In Lily's house, Jen and her daughter Marianne reluctantly confront the secrets of the past and present—and discover how dangerous we become when we're trying to protect the ones we love. I voluntarily reviewed an advance reader copy of this book via NetGalley as it just sounded like just a really interesting read - and it didn't let me down! Fascinating characters and a pretty powerful storyline considering families and secrets, and I can highly recommend this to all as I loved it! And this was the only book that I finished this week..... oh wow! My standards are slipping!! This needs to be rectified! I hate when real life gets in the way of reading time!! 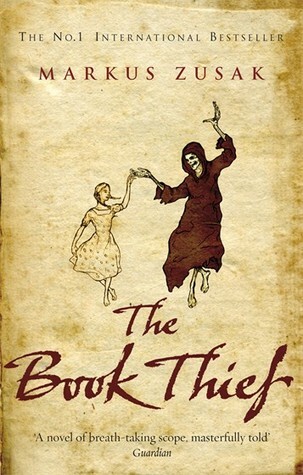 I am halfway through reading The Book Thief (again!) for a bookclub that I'm part of, and I am loving re-reading that. And I am sure I'll end up crying again too! 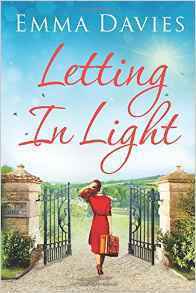 And I've also just started to read Letting In Light by Emma Davies and this is turning into a really enjoyable read which I can hopefully finish today! The Blurb Rowan Hill means many things to many people, but to Ellie Hesketh it represents new beginnings. Putting her life back together after a break-up is going to take time, but the crumbling country estate—as much in need of TLC as she is—seems the perfect place to do it. 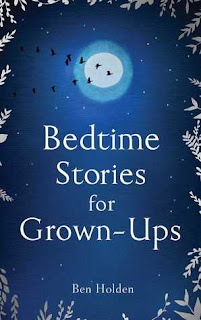 And then yesterday in the post I received a copy of Bedtime Stories for Grown-ups by Ben Holden from Nudge Books to review. Immediately drawn to the cover and I started reading this yesterday and finding it a really interesting and fascinating look at the bedtime ritual of reading, and how we forget to make it part of our routine as adults, and also the influence that night-time has had on various writers and poets over the years. Full of different styles and kinds of writing from extracts of novels to poems, it seems to be a book that you can keep going back to and finding something different from everytime. Am only 100 pages in so far - there are 528 pages! - but I can't wait for bedtime to read more!! The Blurb There are few more precious routines than that of the bedtime story. So why do we discard this invaluable ritual as grown-ups to the detriment of our well-being and good health? Fold away your laptop and shut down your mobile phone. Curl up and crash out with the ultimate bedside book, one you’ll return to again and again. Full of laughter and tears, moonlight and magic,Bedtime Stories for Grown-ups joyfully provides the dream way to end the day – and begin the night . . .
Hope the week has been kind to you all on the reading front! Anything stand out that you'd like to share?! Yes, I do need to buy more books so please feel free to recommend more my way! !